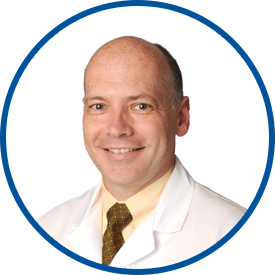 Dr. Doyle has a specialty in internal medicine and a subspecialty in pulmonary medicine. He is board certified in internal medicine, pulmonary medicine and critical care. He graduated from Georgetown University in Washington D.C., and received his medical degree from Georgetown University School of Medicine. Dr. Doyle completed his internship and residency in internal medicine as well as a fellowship in pulmonary disease and critical care medicine at Walter Reed Army Medical Center. Dr. Doyle’s primary hospital affiliations are with Greenwich Hospital and White Plains Hospital. He joined WESTMED Medical Group in May 2001. He is a Fellow of the American College of Chest Physicians and a member of the American Thoracic Society and American College of Physicians. He has a special interest in the diagnosis and treatment of asthma. Dr. Doyle was raised in Larchmont, NY. He lives in the area with his wife, Elizabeth and their three children Elysse, Sharon and Christine. Dr. Doyle is the best primary care physician I have had at Westmed. Dr Doyle is such a caring provider. I always walk out of the office feeling good. He shows such care and remembers what is going on. Fantastic experience every time with Dr. Doyle. He explains things clearly, and allows as much time as needed to answer all questions. dr Doyle can't be replaced! Dr. Doyle has a great way of explaining what's going on and reassuring me about what to do and how to improve my condition. Dr.Doyle always listens and helps me with questions quickly. *Dr. Doyle is a very caring human being. He treated you as if you are family. Dr Doyle is one of the best health care provider. His caring and compassionate manner is always evident. *Dr. J. Doyle has been terrific for me for over 20 years! Dr Doyle is always patient and informative...he takes the time time to listen to me and consider all avenues of treatment . Over the few years I have been seeing Dr. Doyle as my PCP a very good relationship has developed between us - I am a physician too. I find *Dr. Doyle friendly, professional and responsive to my needs, which can be quite complicated at times. James Doyle is absolutely terrific. Have been seeing him since he joined the practice. Friendly, personable and tuned into me. Great relationship....a great fit. I'm lucky and grateful to have him take care of me.